In mid August a dog walker spotted an Eastern box turtle strolling down the middle of Rockdale Avenue in urban New Bedford. He snatched this beauty before she could be crushed by the morning traffic. Not knowing what to do with her, he brought her to Buttonwood Park and luckily ran into Gina Purtell, the Director of Mass Audubon’s Allens Pond Wildlife Sanctuary. 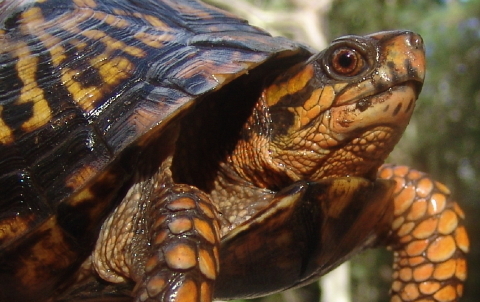 The Turtle Journal Team and Mass Audubon have been partners for more than a decade. 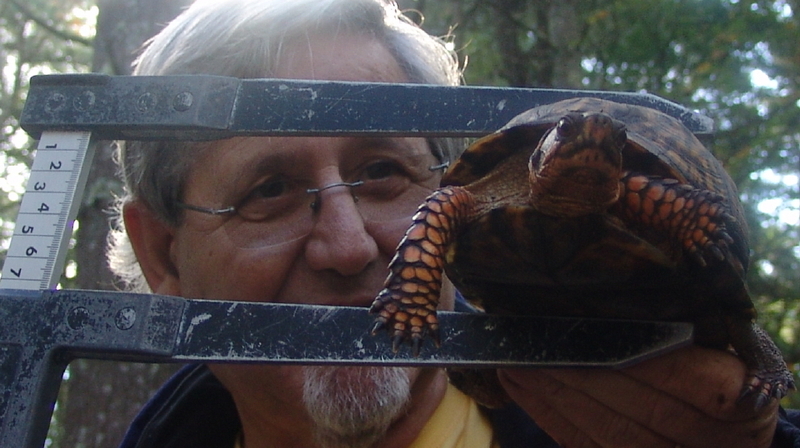 So, Gina called the Turtle Guy, Don Lewis, to work out a plan to rescue this gorgeous female box turtle. Since box turtles are territorial, releasing her in Buttonwood Park would have prompted her to dare the traffic once again and return to the busy streets of downtown New Bedford. We decided to hold her until early October and release her in the quality box turtle habitat of the new Great Neck Wildlife Sanctuary in Wareham. Our hypothesis is that releasing her immediately before the long winter brumation may reset her geographic compass to the new location. This 35-year-old, extremely healthy female weighed 675 grams. Within minutes of her release about a quarter mile deep into the sanctuary, she burrowed into a turtle-made hummock of pine needles and disappeared from view. An extremely healthy sign. This lovely lady is marked as Eastern box turtle #2 and the Turtle Journal team will be checking on her progress come springtime. 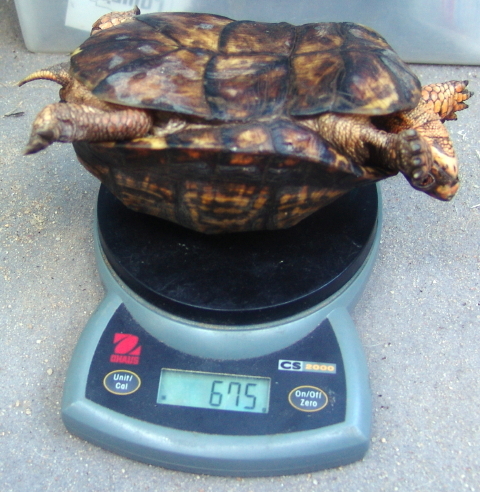 See the Wareham Week/Village Soup story about this turtle rescue by clicking on the image above. You are currently browsing the Turtle Journal blog archives for October, 2011.